Busy Bees at Sunderland, Doxford - Nursery of the Year 2018 WINNERS! Nursery of the Year 2018 WINNERS! 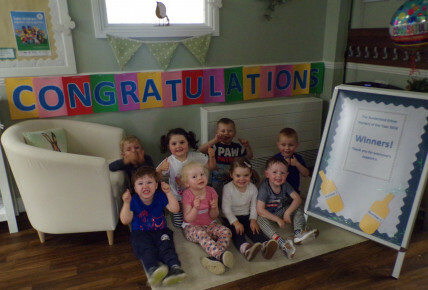 Over the last couple of months, readers of The Sunderland Echo have been voting for Nursery of the Year 2018. It started with 46 Nurseries in the Washington, Sunderland and Houghton area, which by voting it developed a top 10 of Nurseries. Now Staff, children and parents at Sunderland Doxford are delighted and over the moon to announce that on Monday 4th June, we received a call to inform us that we are the WINNERS of Nursery of the Year 2018! We would like to say a BIG Thank You for everyones support in voting for Busy Bees Sunderland Doxford during the last few months.